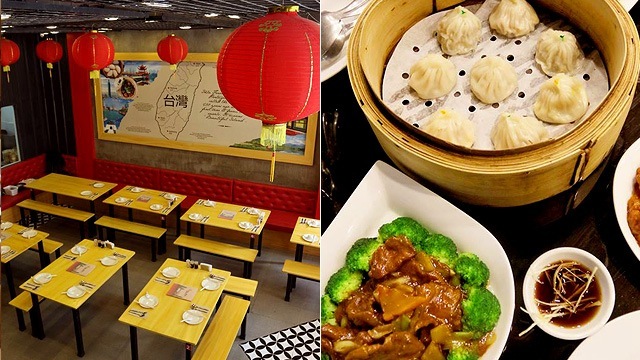 From street-food faves to xiao long bao! 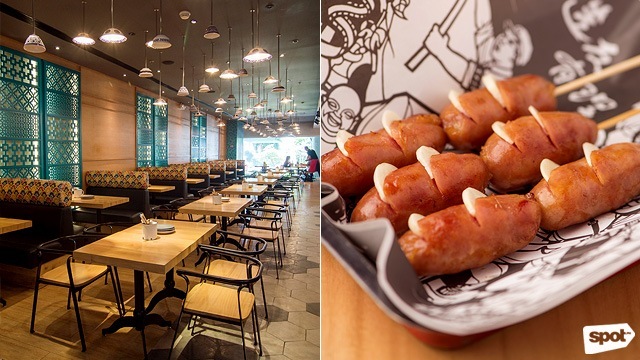 (SPOT.ph) With its lively night markets, quirky dining destinations (ever heard of their toilet-themed restaurant? 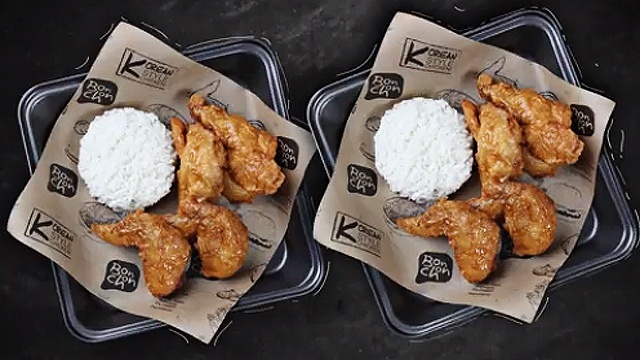 ), and unique street-food finds, it’s no wonder foodies from all over the world are flocking to Taiwan. But when you suddenly get that insatiable hankering for xiao long bao, dan dan noodles, or their famous milk tea, know that the Metro has you covered. 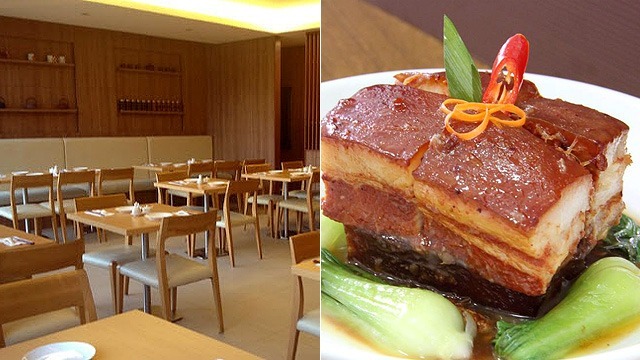 Here some of Manila’s best Taiwanese restaurants for when your cravings just can’t wait. From light bites to full meals, you’ll find affordable and traditional Taiwanese food here. 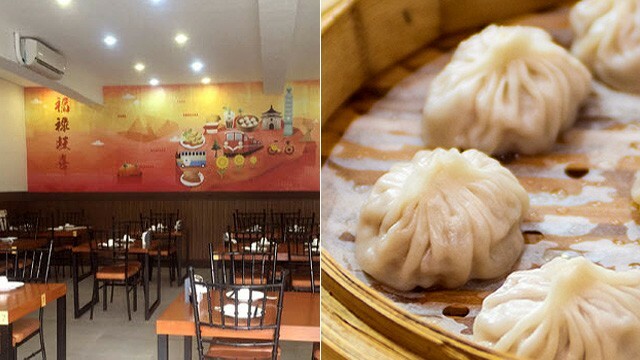 Aside from the usual steamed or fried soup dumplings, they also have Cheese Xiao Long Bao (P215) for those who want to try something out-of-the-box. You can also dare to try the Deep Fried Stinky Tofu (P199) to see if your palate—or olfactory senses—can take it. Don’t worry, there are other (less smelly) assorted dim sum and meals you can sink your teeth into at Tien Ma’s. If you don’t feel like ordering a hot bowl of Taiwan-Style Beef Noodle Soup (P200), order their very photogenic Pineapple Fried Rice with Pork Floss (P200), which is laid out in an actual pineapple, and you’re all set. See a list of Tien Ma’s branches. It’s pretty obvious what you should go for once you read "Chairman Wang’s Prime Beef Noodle House." Browsing through this south-side eatery’s extensive menu may seem daunting, but you can always just zero in on their bestsellers, including Chairman’s Prime Beef Noodle Soup Wagyu (P450), which features a generous strip of melt-in-your-mouth Wagyu beef on top of al-dente hand-pulled noodles and a savory chili broth. 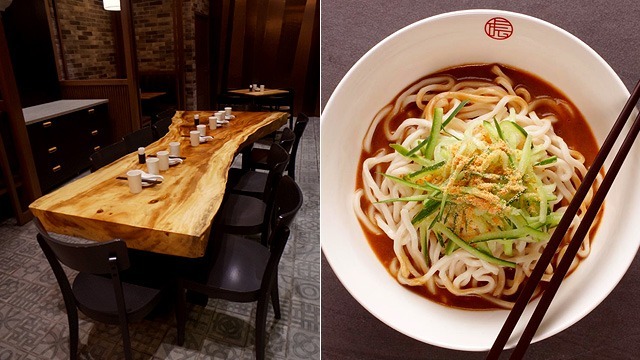 You’ll enjoy slurping their freshly prepared soup as you take in the simple yet elegant surroundings—from Chairman Wang’s intricate wooden carvings on the wall to the beautiful Chinese-inspired murals. Cool down with their signature drinks and sweets like the zesty Fruit Tea Sangria (P150) and Chilled Mango Sago with Pomelo (P95), an all-time favorite with a special twist. Chairman Wang’s Prime Beef Noodle House is at Molito Commercial Complex, Alabang, Muntinlupa City. Mien San Noodle House’s menu has a hefty selection of all sorts of noodle dishes ranging from dry and fried noodles, down to soups. A heaping hot bowl of their best-selling Beef, Tendon & Goto Noodle (P368) soup is the perfect dish for chilly nights, while the Beef with Tendon Dry Noodle (P308) is just as comforting. You’ll love the combination of the full-flavored umami broth, springy noodles, and the oh-so tender meat. For future food cravings—because you never know when they’ll come along—you can take home some ready-to-eat dumplings or siopao and pop them in the microwave whenever you please. 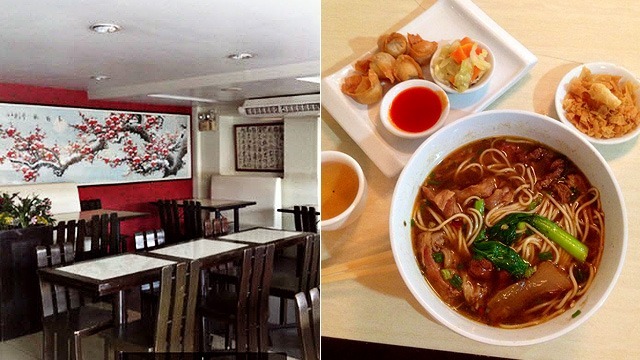 Mien San Noodle House has branches at 42 Granada Street, Valencia, Quezon City; and Unit C Fox Square Building, 53 Connecticut Street, Greenhills, San Juan City. 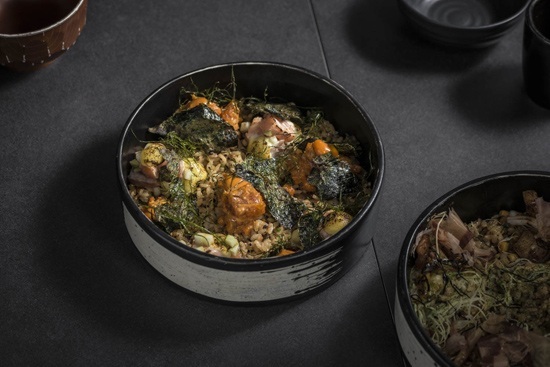 Don’t be fooled by their minimalist-utilitarian dining space as the restaurant’s flavor-packed dishes more than make up for it. Apart from the xiao long bao, which you’ll probably see in most Taiwanese kitchens, you might want to sample their other must-try dim sum such as the Spicy Wanton (P200/10 pieces)—it may look scarily red, but trust us when we say it has the right amount of spice for that added kick. What’s also great about this neighborhood eatery in Little Baguio is that they're wallet-friendly, but serve up generous family-style servings. The Pork Chop Rice (P200), for instance, is a complete meal in itself with perfectly golden fried pork served with a runny egg and fluffy rice, topped with minced pork and veggies. Flavors of Taiwan is at 20 General de Jesus Street, Little Baguio, San Juan City. 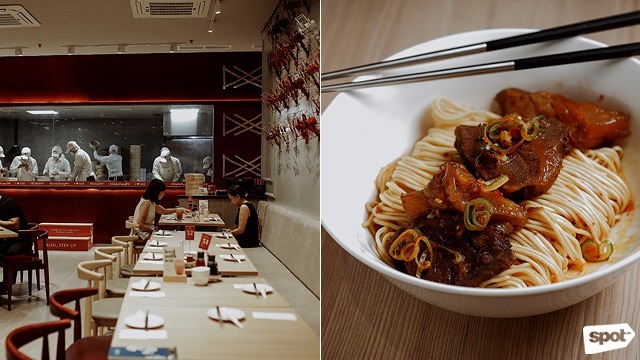 At this low-key Taiwanese restaurant in Greenhills, the beef noodles are the star—and they have eight amazing varieties to choose from. 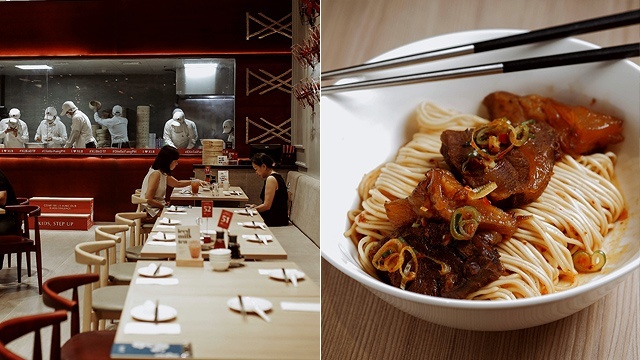 You can’t go wrong with the Braised Beef Brisket & Shin Noodle (P328), which highlights that distinctively rich and herby broth Taiwanese cooking is known for. Diners also rave about the Tong Po Pork (P268), a beautifully plated chunk of braised pork belly that’s practically as soft as butter. If you happen to dine here at night, why not unwind with their sake- or shochu-based cocktails, or even get yourself a glass of Lychee Whisky Highball (P180)? But if alcoholic beverages aren’t up your alley, you can always go for their specialty teas like the Okinawa Milk Tea with Oatmeal Toppings (P115) or classic Pearl Milk Tea (P110). TaiOne is at G/F Promenade, Greenhills, San Juan City. You’ll most likely be tempted to order their Giant Xiao Long Bao (P188) at Fat Fook for the novelty of it, but when you’re here, why not check out the street-food staples that they've transformed into restaurant-worthy dishes? You'll feel like you’re eating your way around a night market in Taipei with their juicy, caramelized skewered Taiwanese Sausages (P288). Or go for more daring picks, like a basket of Fried Intestines (P198) that do not resemble the beloved isaw. These skewered morsels of fatty goodness are marinated in a secret blend of spices that won’t make you doubt you’re eating something Taiwanese. Meanwhile, the Fat Fook Chicken Chop (P238) is so flavorful, it doesn’t require any dipping sauce. See a list of Fat Fook branches. 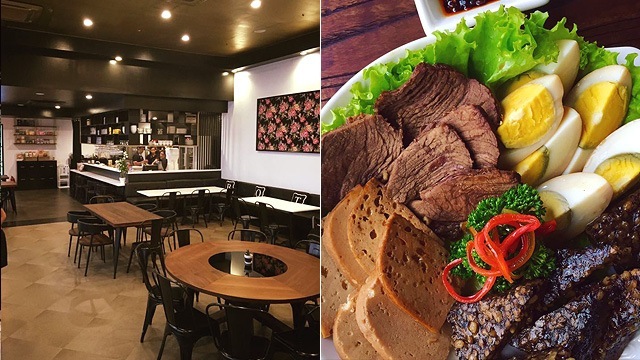 Whether you come for a quick snack or a full-blown Taiwanese meal, there’s a good chance that Botan Black Café has what you’re looking for. 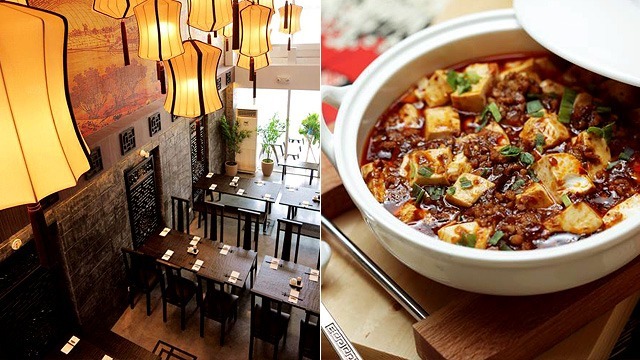 This hidden gem in Bonifacio Global City has a diverse menu that includes famous Taiwanese street munchies like Fried Sweet Corn (P110) and Taiwan Sausage (P160), rice toppings like the crowd-favorite Salt & Pepper Fish Fillet Rice (P265), and savory hot soups including the Taiwan Spicy Beef Soup (P270). Best to try their tea offerings while you’re there, too, because they’ve got quite an extensive selection. Opt for the classic Tapioca Pearl Milk Tea (P110) or sample something unique like the Sea Foam Wintermelon Tea (P130) that has a good dose of froth on top—it’ll definitely bring you back to your favorite milk-tea shops in Taiwan! Botan Black Café has branches at 2/F Wumaco Building, Lane P corner 9th Avenue, Bonifacio Global City and B/1 West of Ayala, Urban Avenue, Legazpi Village, Makati City. Freshly made noodles, lip-smacking beef slices, and a really spicy soup—these are what beef-noodle dreams are made of. Don’t miss Mazendo’s signature soup, whose recipe comes all the way from their original branch in Taiwan. You can try the Mala Vermicelli Noodle with Pork Mala sauce (P360), which comes with either tender beef or pork. It’s made of Szechuan peppers so expect to feel the heat with every spoonful; but you can always ask the waiters to adjust the spice level according to your preference. Mazendo has branches at S Maison, Conrad Manila, Seaside Boulevard corner Coral Way, Mall of Asia Complex, Pasay City; and 2/F The Podium, ADB Avenue, Ortigas, Mandaluyong City (opening soon). Shi Lin has been cooking up a storm of traditional Taiwanese dumplings, buns, and noodles since 2011—all handmade fresh every day. The restaurant is popular among diners because of their budget-friendly price points that won’t leave a gaping hole in your wallet and their generous serving sizes. Their famed Xiao Long Bao (P275/10 pieces) come in flavors like Truffle and Crab Fat, which are perfect for those looking for something unique. Their congee and rice dishes are equally noteworthy and big enough to share as well, but their dessert dumplings are another story—you might want to keep them all to yourself. Hey, it’s not often you can eat a Choco Nutella Dumpling (P165/six pieces) or Taro Dumpling (P145/six pieces)! Shi Lin has branches at The Podium, Mandaluyong City; Estancia Mall, Pasig City; Shangri-La Plaza. Mandaluyong City; Greenbelt 3, Makati City; Power Plant Mall, Rockwell, Makati City; and Alabang Town Center, Muntinlupa City. Din Tai Fung is practically synonymous to xiao long bao, and people don’t mind waiting in line just to have some of their dumplings. 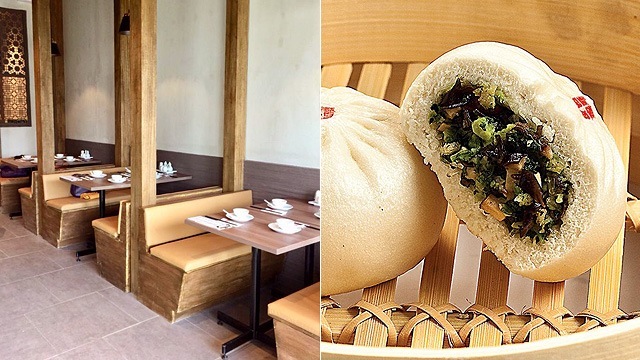 The Michelin-starred restaurant’s menu has a good mix of savory and sweet dumplings, but some of their most exciting variants are the Truffle and Pork XLB (P135/piece) and the gooey-sweet Chocolate Lava (P115/three pieces). While here, you can even watch the chefs prepare these little masterpieces through their signature open kitchen. Complete your meal with other tasty treats like the savory Salted Egg Yolk Prawns (P375), Black Pepper Beef (P375), or Dan Dan Noodles with Spicy Sesame & Peanut Sauce (P135). Can’t handle the spice? Din Tai Fung’s Xiao Long Bao Bar in Rockwell exclusively offers a creamy Jasmine and Rose Milk Tea (P130) that’ll wash the heat away!